After his recent visit to the DRC, mainly in Goma, the British Minister for Africa, Tobias Ellwood, delivers his three conclusions on the country. In an opinion piece of the communication cell of the UK Embassy, the head of the British diplomacy for Africa discussed the political, security and economy of the DRC, which reached KINSHASATIMES.CD. The entire article in the following lines. 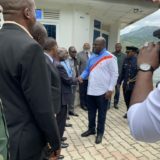 I recently had the pleasure of visiting the Democratic Republic of the Congo again to see how the United Kingdom can better support the Congolese people for a better future. I left not only inspired by the beauty, dynamism and incredible potential of the DRC, but also with three main conclusions. First, it is extremely important to implement the December 31 agreement. The people of Goma, whom I saw being registered for the vote, were hopeful that they would be able to choose a new president in 2017 and see the first peaceful transition of power in their country. They see elections held in countries like Somalia and cannot understand nor accept why the vote in the DRC is already the most postponed of Africa. 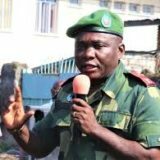 But they welcomed President Kabila’s recent commitment to leaving office in the next election and not seeking, unlike some leaders, to change the constitution to remain in power. 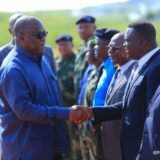 The United Kingdom will do everything in its power to support the elections, with the help of its friends in Angola, South Africa, China, Europe, the United States and elsewhere. As a permanent member of the UN Security Council, we will encourage MONUSCO to increase the valuable support it already provides. We remain a full and active member of the EU and we are working with it to find ways and means to support the upcoming elections. However, if we do not see significant progress, we will consider, together with our European partners, the imposition of additional sanctions against those who constitute an obstacle or who violate human rights. As the second largest bilateral donator to the DRC, we will increase our funding for civic education to strengthen women’s political participation and reassure ourselves that all political parties can campaign. 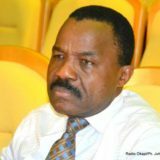 As stated by President Kabila, the financing of elections rests largely on the government of the DRC. But the United Kingdom is prepared to contribute to the elections as long as the political will to hold them is clear. Second, more efforts are needed to protect civilians. I myself have seen the consequences of permanent insecurity on the local populations living in North Kivu. I am appalled by the loss of life and massive displacement of populations in the two Kasai and in the province of Tanganyika. Of course, the responsibility to protect the Congolese people lies with their government. But we will continue to help communities resolve their differences peacefully, to provide support to those affected by the conflict and encourage the United Nations to be as active as possible in their support for maintaining stability. Third, the private sector could transform the DRC if it is not slowed down. The DRC is full of commercial opportunities. I saw, for example, the Matebe hydroelectric project in which the British government invests 9 million. This project generates 50 MW to support local industries that create jobs and to supply electricity to Goma. The United Kingdom is the fifth largest economy in the world and one of the largest investors in Africa. Our businesses have the incredible assets in infrastructure, financial services, agriculture, transportation and other sectors that could help realize the enormous potential of the DRC. 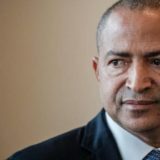 These companies will obviously want to see political stability in the DRC through the holding of elections, but also see measures taken to combat corruption and excessive tax regulations. These measures concern the Government of the DRC, but the UK will support tax reforms that tend to increase revenues while reducing the excessive tax burden, promote transparency in the mining sector in particular, and Investigate corrupt trade offers with links to the United Kingdom. The lasting impression of my visit is that the Congolese people want peaceful and fair elections this year, more security and more jobs. The British government will do its utmost to make this vision a reality.